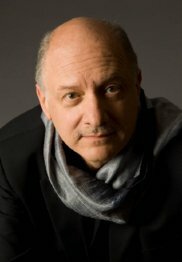 Daniel Catán, whose sudden death in April 2011 shocked the opera world, composed in a lyrical, romantic style that lends itself particularly well to the human voice, which features in the majority of his works. Lush orchestrations reminiscent of Debussy and Strauss along with Latin American instruments and rhythms are regularly heard in his music. His opera Florencia en el Amazonas has the distinction of being the first opera in Spanish commissioned by a major American company. The success of this opera led to the commission of Salsipuedes for Houston Grand Opera. His fourth opera, Il Postino, was commissioned by Los Angeles Opera and premiered in Los Angeles, Vienna and Paris in 2011 featuring Plácido Domingo. At the time of his death, Catán was at work on his next opera, Meet John Doe. Born in Mexico, Catán studied philosophy at the University of Sussex in England before enrolling in Princeton as a PhD student in composition under the tuition of Milton Babbitt, James Randall and Benjamin Boretz. His music is published by Associated Music Publishers.